IMO and the United Nations Office on Drugs and Crime (UNODC), IMO security and counter-terrorism treaties, such as SOLAS Chapter XI-2 and the suppression of unlawful acts (SUA) instruments, conducted a cross-regional workshop in Bali, Indonesia to support the implementation of the treaties in South and South-East Asia for terrorist attacks. The workshop took place on 5 to 8 of February. Mainly, the workshop highlights the importance to approve the global counter-terrorism instruments and to incorporate their provisions into national laws as well as promoting multi-agency and regional collaboration. 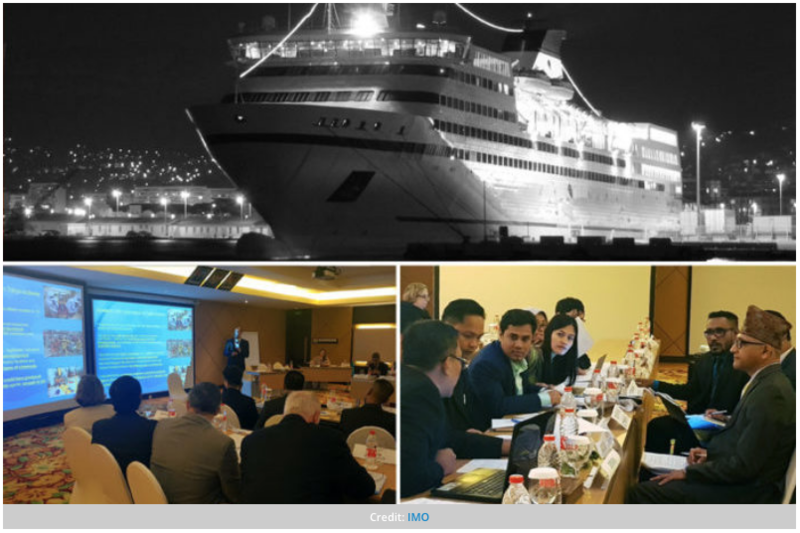 The event is based on national workshops that took place in Bangladesh, Maldives, Sri Lanka, Philippines and Viet Nam, as well as a sub-regional event held at IMO Headquarters in November 2018. The workshop consisted of participants from Bangladesh, Cambodia, Indonesia, Lao People’s Democratic Republic, Malaysia, Maldives, Nepal, Philippines, Sri Lanka, Viet Nam. In addition, the participants shared their experiences and best practices on security issues and discussed the possibility of regional and cross-regional cooperation on maritime counter-terrorism prevention and response. Concluding, this is the last activity under the ‘partnership without paperwork’ project that’s initiated by UNODC, and funded by the Japanese Government. In this phase, IMO is presenting subjects that include ‘the International Legal Framework against Maritime Terrorism’; ‘Suspected transport of BCN weapons by vessel in transit and passing through territorial waters’ and ‘Bio-Terrorism/Mass Casualty event involving a Cruise Liner alongside in port’.